Find our trade downloads and press releases here. Our founders, Jason and Corey, met at camp during the early 1990’s in Southern California, after which they remained distant friends throughout high school, college, and their earlier years of building their families. The two separately found their way to the Portland Metro area of the Pacific Northwest, and in 2007 discovered they’d both moved to within 5 miles of each other, 1000 miles away from where they’d first met. They soon became involved in the local Portland whiskies scene and with their friendship rekindled around a mutual love for whiskies of all kinds, they dreamed of initially creating their own personal expressions in an American Single Malt Whiskey format. 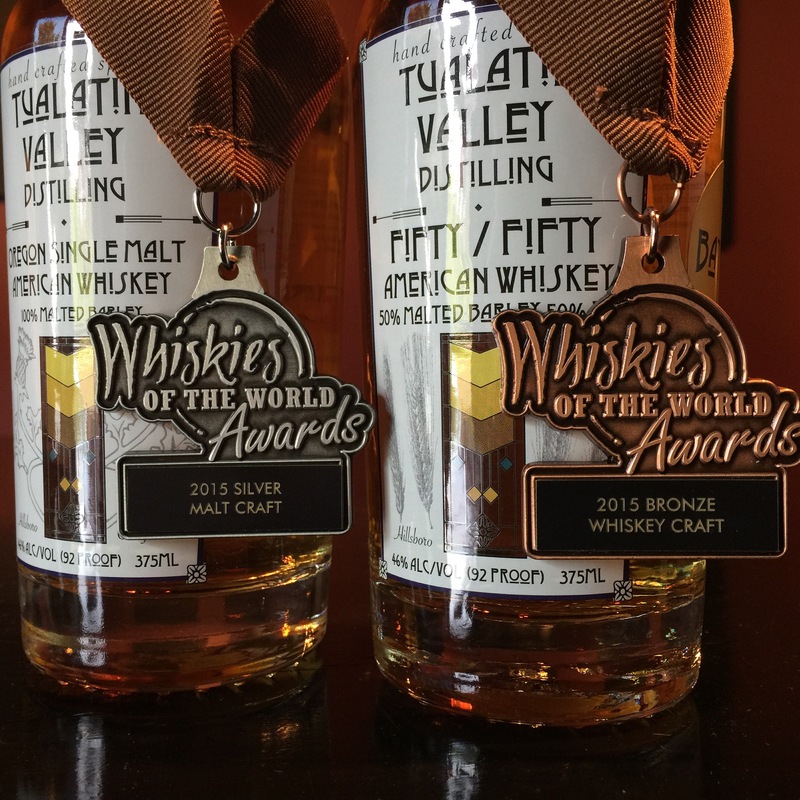 When opportunity arose, they committed to the idea and set off on an adventure to bring their dreams to a production reality; an adventure now known as Tualatin Valley Distilling. Devoted to building new and unique products based on historic traditions and recipes, both Jason and Corey are also committed to the hands-on approach of distilling and create each distinct product from the base ingredients to the bottle. They craft brew each mash, pitch the yeast, and distill the wash in small batches on site in Hillsboro, Oregon, while oak aging and bottling in the same location. Using ingredients sourced locally in the Pacific Northwest, they are also devoted to local growth and creating a distinct regional flavor profile for their whiskies and brandies alike.